One recent Saturday, as people filed into the Historic Strawbridge's Building at 801 Market St., the quiet hum quickly increased as people shopped and haggled for deals at the Franklin Flea. Crystal chandeliers illuminated the white marble floors, highlighting rows of handmade clothes, Polaroid cameras, vintage art, up-cycled wooden furniture, jewelry and more. 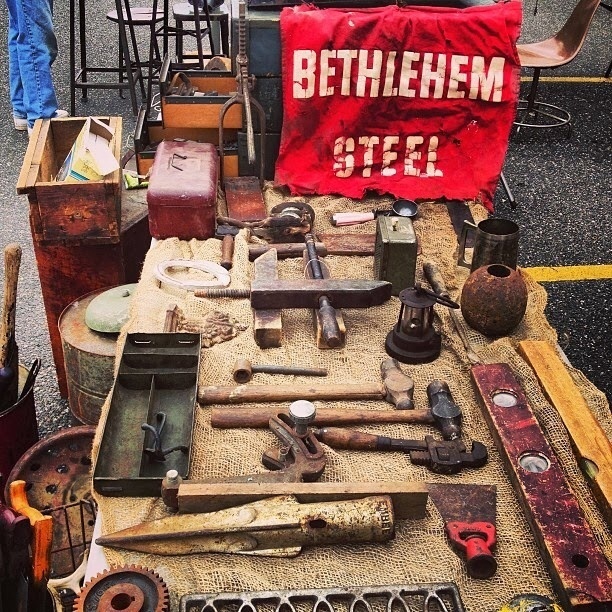 Mark Vevle created the Franklin Flea Market in November 2013, after his run with the Brooklyn Flea in Philadelphia ended. Vevle still saw potential in a high quality flea market and wanted to create one that was unique to Philadelphia. Vevle focused on giving it a local vibe that would reach a broader audience, bring life to an old space and feature quality vendors. He teamed up with Pennsylvania Real Estate Investment Trust to bring the Franklin Flea to the Historic Strawbridge building, and the market opened this spring on April 19. Opening in Strawbridge's was important to Vevle. “The space was virtually not open to the public for almost 7 years,” Vevle says. It’s in a great location, too—close to the Market East Septa Station, making the trek an easy commute from the suburbs and New Jersey. We recommend checking out Fairware, a Philadelphia-based men’s performance apparel vendor inspired by outdoor activities in Fairmount Park; Souli Souli, which produces beautiful handmade leather shoes; and Early Bird Design, which sells hand-painted furniture and vintage home goods. At if you need some sustenance while perusing the goods, head over to Franklin Stove, a food booth that features a new Philadelphia chef each Saturday. 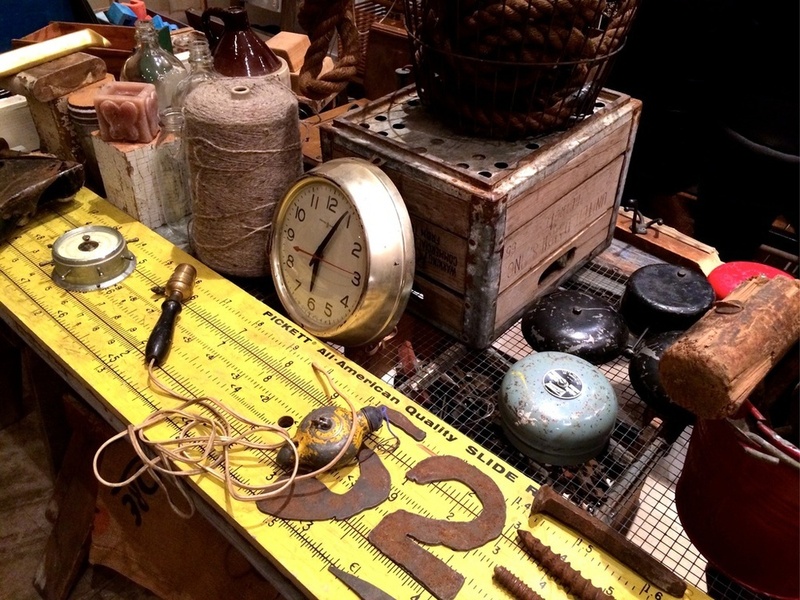 If antiques and vintage are your thing, check out At Home Modern, Georgica Lane, Walker Antiques, Hoof & Antler, Scout Salvage, Stuff2Day, Mouse Trap Vintage, Territory Hard Goods, Greatest Friend, The Captain’s Vintage. Want more of a handmade approach? Buzz over to Cuttalossa, Olliver, Three Parts Charm, The Head & The Hand Press, PB&Jams and Hank Sauce. Memorial Day Weekend, May 24 features live music by Casey Alvarez Trio from noon to 3 p.m. and a special food booth by Jose Garces’ Rosa Blanca. Rosa Blanca will be serving Masitas (Pork Belly, Pork Shoulder, Pickled Red Onion, Orange Segments, and Mojo Criollo) and Empanada de Queso (Mozzarella and Ricotta Cheese Empanada). Casey Alvarez is a blues-inspired singer, songwriter and guitarist and recent grand prize winner of the Philadelphia Songwriters Contest. The spring season runs from 10 a.m. to 5 p.m. May 24, 31 and June 7, 14. Summer dates will be July 19 and August 16, with the location TBA. For more information, visit franklinflea.com.